New research offers hope for stroke sufferers and people with brain diseases. Scientists say that the brains of animals and humans may produce new cells, the brain cells that can help to form memories. Researchers questioned the brain’s ability to grow new cells. But behavioral neuroscientists at Rutgers and Princeton universities in New Jersey have shown not only that brains of rats produce new cells, but also what they do. “It appears that the new neurons become involved in memory about a week to two weeks after they are generated, and they are involved in memories normally handled by the hippocampus (an area of the brain) according to Dr. Shors of Rutgers. The research suggests that the brain’s recuperative powers may have been underestimated and could be far greater than scientists had previously thought. Every cell in the body is replaced in approximately one year and this includes brain cells. Why is this such a life changing truth for you? Because you reap what you sow. If you have been reaping symptoms like: Fatigue, Pain, Digestive problems (constipation, diarrhea, bloating, gas, heartburn, reflux) Weakened immune system (reoccurring colds, flu and infections), Sleep problems, Allergies/sensitivities, Weight problems, Emotional highs and lows, Depression and Anxiety. Air—you are not deep diaphragm breathing to oxygenate your body. Water—you are not drinking 32 ounces of distilled water per 50/lbs per body weight per day. Food—you are not consuming a diet of living/raw plant food which has the highest energy, bioelectricity, enzymes and bioavailable nutrient content to either maintain or restore your health. Sleep—you are not sleeping 8.0 hours with 3.0 of them before midnight. Exercise—you are not exercising 30 minutes every day. 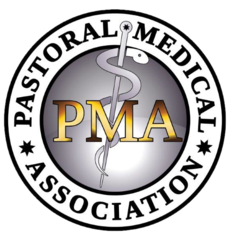 Fasting—you are not fasting from the normal Standard American Diet (SAD). Prayer—you are taking the time throughout your day to regularly still your mind so you can hear the voice of God spoken into your heart. So, how can you change and overcome symptoms, conditions or disease? 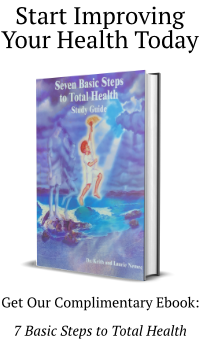 Start planting the 7 Basic Steps to Total Health™ everyday and you will see them start to grow and eventually reap the harvest of Total Health of Body, Mind and Spirit. Another powerful truth you can see in these findings are that the memories that you have of all the lies that our brain has been programmed with can be released and renewed the Truth. One of those powerful truths is “all things are possible for him who believes (the truth God has place in his/her heart not the lies the world system has placed in his/her mind).